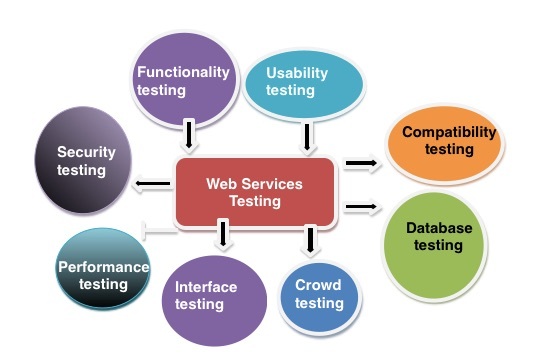 Webservices testing is a process of testing its web based services and the related protocols like SOAP and REST. SOAP is standard protocol for sending and receiving web service requests and responses which was defined by W3C. SOAP uses HTTP protocol for transfer of messages. REST is an architecture that runs over HTTP it means REpresentational State Transfer. The REST emphasises the interactions between clients and services. The purpose of web service testing is to verify all the application programming interface (API) exposed by any application works as expected. Web services are a medium of communication where two applications will exchange the data apart from their architecture and technology. Why web services are needed? So in a modern technology if you want develop software you don’t have to do it by scratch directly you can plug-in to the application from any readymade service and start including those services in your application. For example, if you want to display the horoscope information in your application you don’t have to collect, process and render the data. You can directly collect the information from those people who provide those services. In web service, all communication or data exchange is by XML. Examples for high severity,priority and low severity,priority defects in your current project? H2K Infosys, LLC provides Software Training, Development, Software Testing includes manual and automation testing, Performance Tuning and Performance testing. Online and onsite software training to individuals and corporate companies anywhere in the world. We provide best hands on online training with real time examples to make sure that the participants are able to handle real time scenarios.